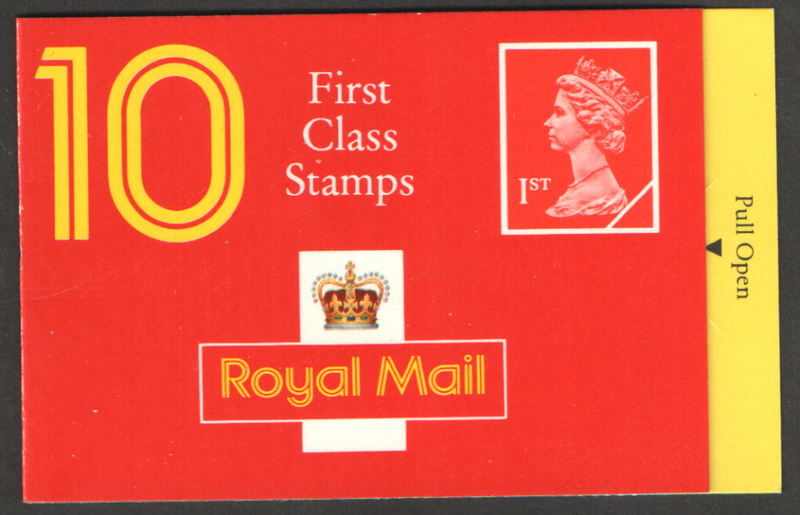 SG Number: HD10 MBPC Number: DB20(21) Walsall 10 x 1st Class Barcode Booklet Selvedge attached to cover by glue strip. Cylinder W23 W13 W17. SG Number: HD10 MBPC Number: DB20(21) Walsall 10 x 1st Class Barcode Booklet Selvedge attached to cover by glue strip. Cylinder W23 W13 W18. 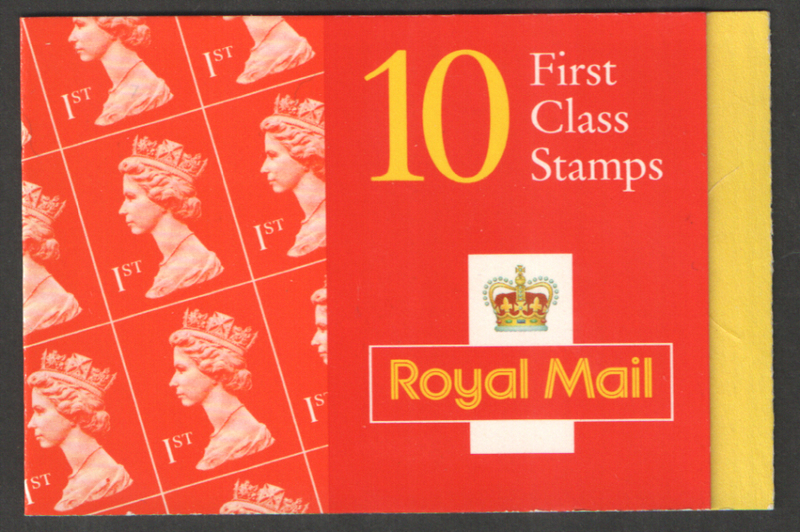 SG Number: HD10 MBPC Number: DB20(21) Walsall 10 x 1st Class Barcode Booklet Selvedge attached to cover by glue strip. Cylinder W24 W14 W18. SG Number: HD11 MBPC Number: DB20(26) Questa 10 x 1st Class Barcode Booklet Cylinder Q1 Q1 (Q1). SG Number: HD11 MBPC Number: DB20(26) Questa 10 x 1st Class Barcode Booklet Cylinder Q2 Q2 (Q1). SG Number: HD11 MBPC Number: DB20(26) Questa 10 x 1st Class Barcode Booklet Cylinder Q3 Q3 (Q1). 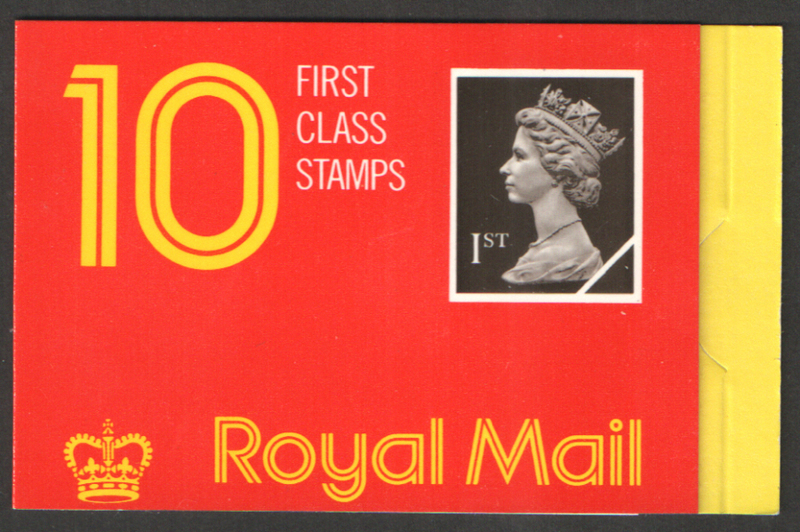 SG Number: HD11b MBPC Number: DB20(33)A Questa 10 x 1st Class Barcode Booklet Thin value. Cylinder Q4 Q4 (Q2).